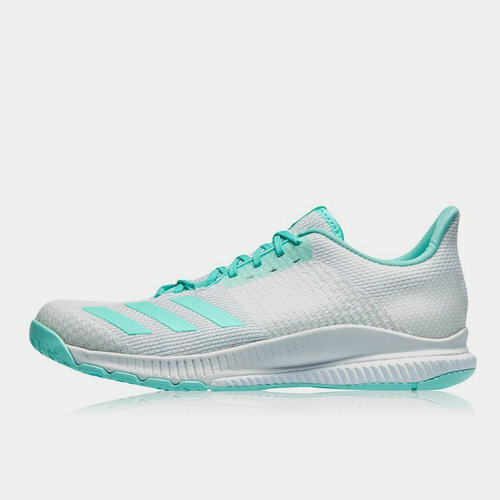 Perform to your highest standard in these adidas Crazyflight Bounce NEtbal Netball Trainers in White, Clear Mint and Clear Mint. Take your game higher and further than before with these lightweight trainers that have been built to perform. These netball shoes have a breathable mesh upper that's reinforced with TPU yarn for extra on-court stability that won't weigh you down. the flexible cushioning keeps you on your toes while the grippy rubber outsole gives you maximum control when you need to make swift turns.